Wednesday 17-22°c Partly cloudy. Mild. The results of long-awaited ballistics tests on possible bullet cartridges found next to the late Reshall Jimmy's burnt-out Ford Kuga, were not available on Tuesday morning as expected, the inquest into his death has heard. "They said they need a letter of authorisation," said investigating officer constable Thembekile Matwa, who had sent the objects off to be tested for the inquest into Jimmy's death. He hoped they would be available for discussion on Tuesday during the submission of possible evidence on whether Jimmy died as a result of the car burning out, or whether there was another explanation for his death. Judge Robert Henney, who is presiding over the inquest, stepped in after hearing about the delay and offered to intervene. "Well, I will issue an order for them," he said during proceedings at the Western Cape High Court. The objects, which may be bullet casings, were picked up near Jimmy's vehicle after it had burnt out while he was inside it in Wildnerness on the Garden Route on December 4, 2015. Jimmy's family believes he died as a result of a technical fault which caused the fire, but Ford Motor Company denies this and submits that other factors completely unrelated to the technical state of the vehicle could have led to the fire. Establishing what the objects are is important to the Ford Motor Corporation. 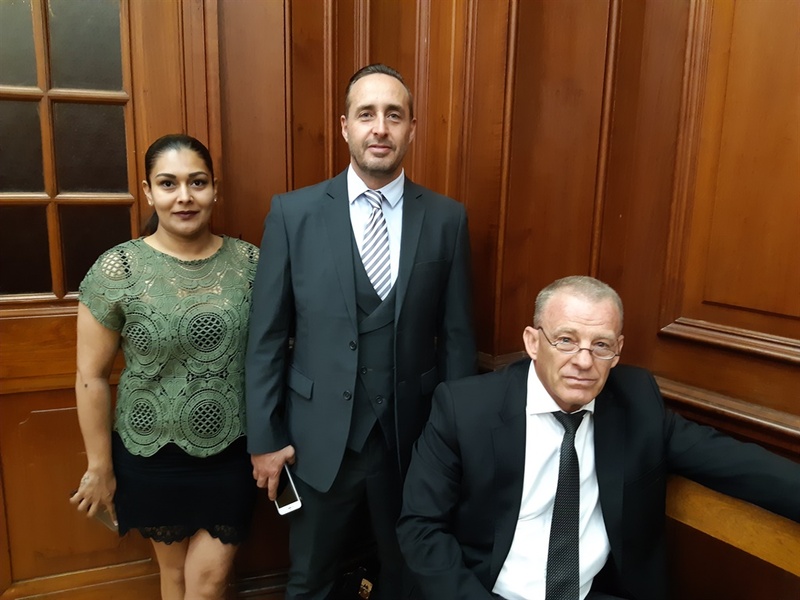 Its lawyer, André Bezuidenhout, said three people reported hearing an explosion, a loud bang, and a shot gun, near the area where Jimmy's car went up in flames. Some of the items Ford suggested may have caused the fire include the presence of accelerants in the car which included a long braai lighter, hand sanitiser and two cellphone batteries. There were also allegations that several men in another vehicle were spotted near his care and that he had spent 10 hours in a casino before his death. The inquest is not to deliver a guilty or innocent verdict, but to cast more light on how Jimmy died. This may be followed by a recommendation that there is enough prima facie evidence to reconsider a prosecution for Jimmy's death. The National Prosecuting Authority has already declined to prosecute. The court has already heard Matwa say he did not think they were bullet casings and his colleagues also cast doubt on what they were. There was a suggestion that they could be airbag components but Matwa, although doubtful that they were casings, sent them off for ballistics analysis to be safe. Jimmy died ahead of a planned paragliding adventure in the area. Henney decided to hold off on issuing an order for the ballistic results after Matwa told him that the results should be available later on Tuesday.